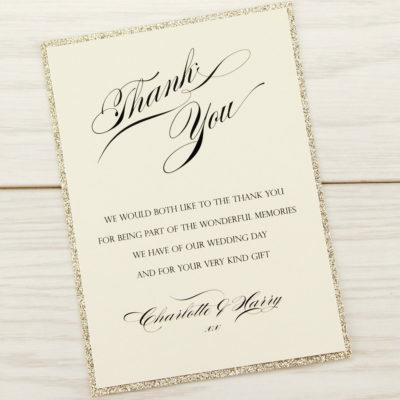 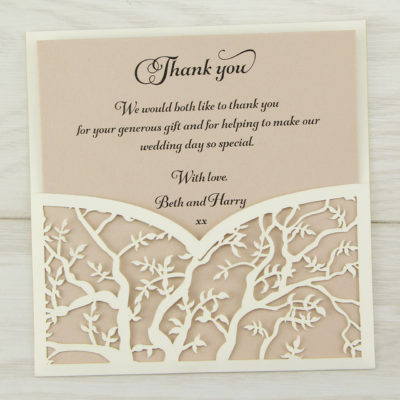 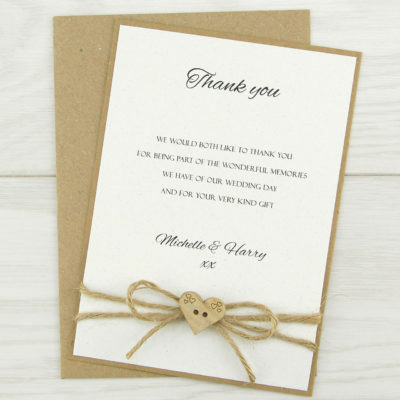 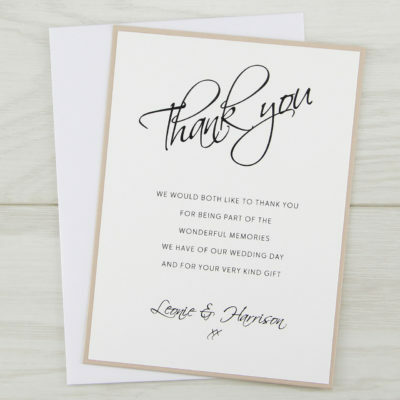 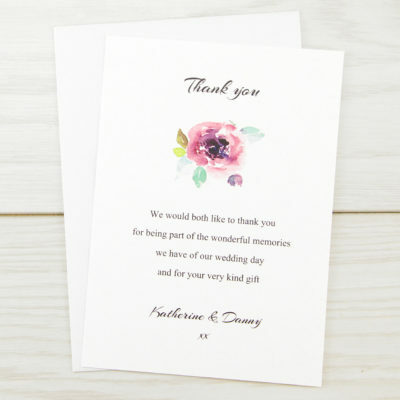 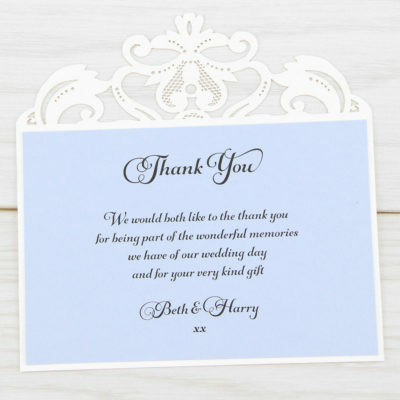 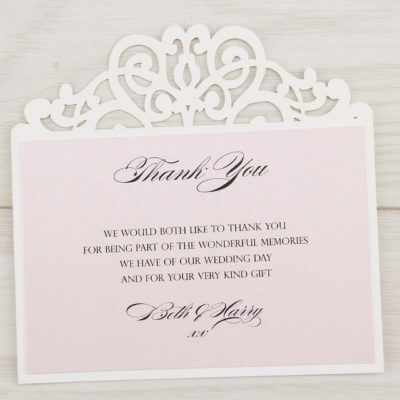 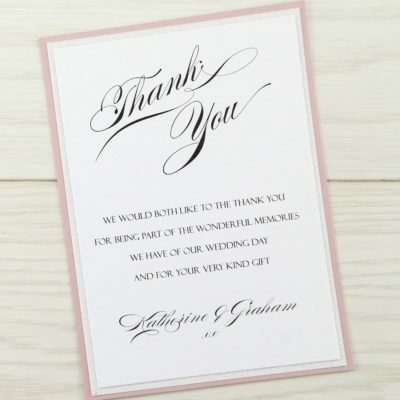 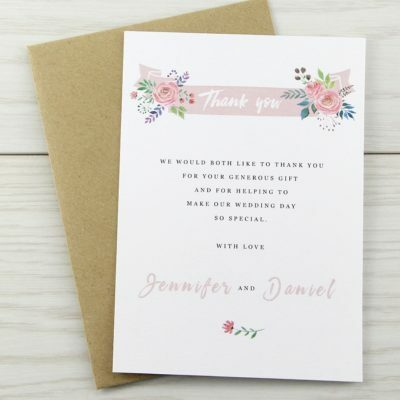 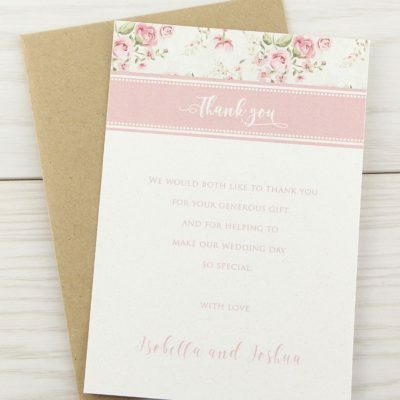 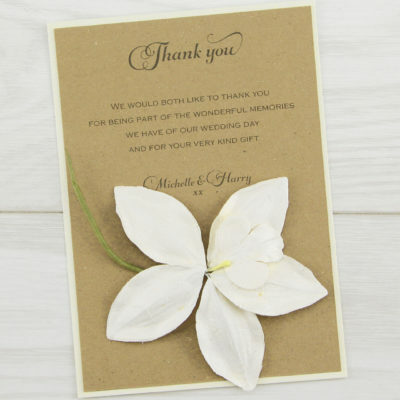 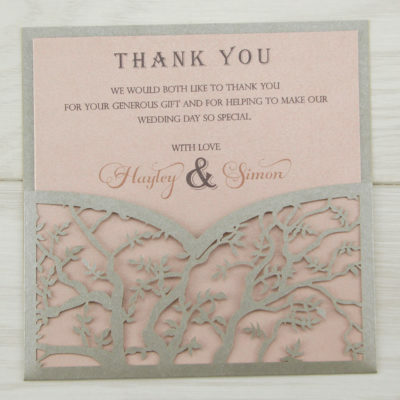 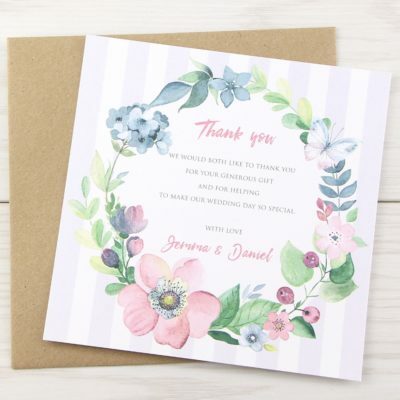 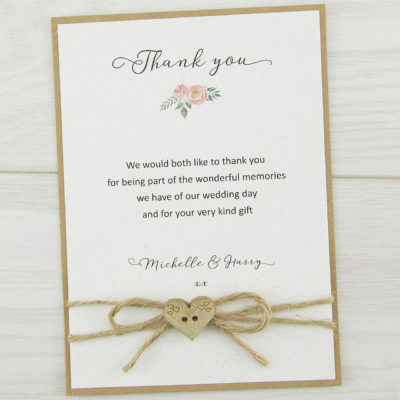 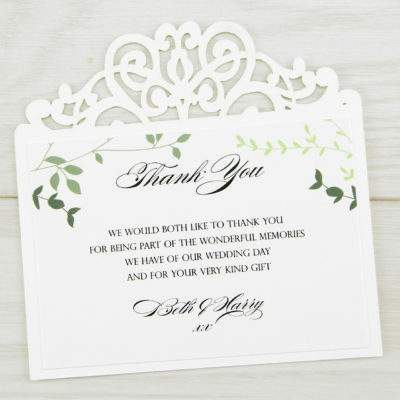 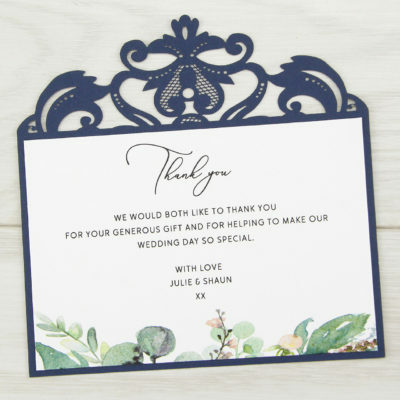 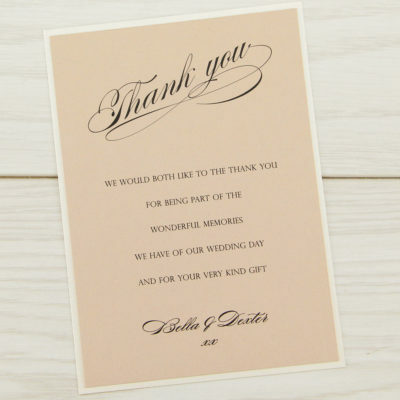 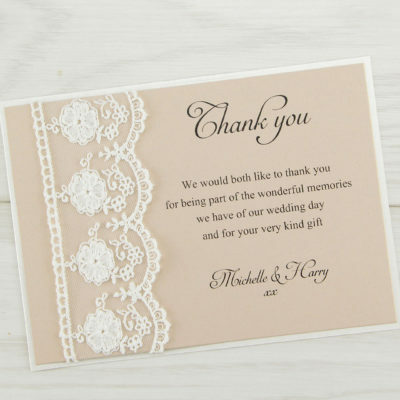 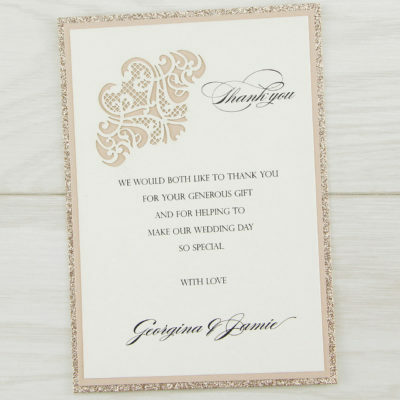 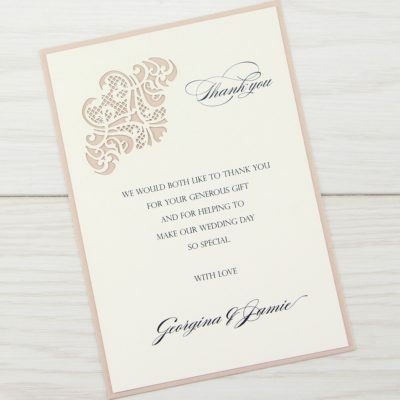 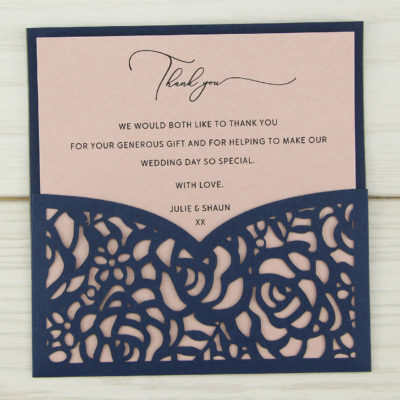 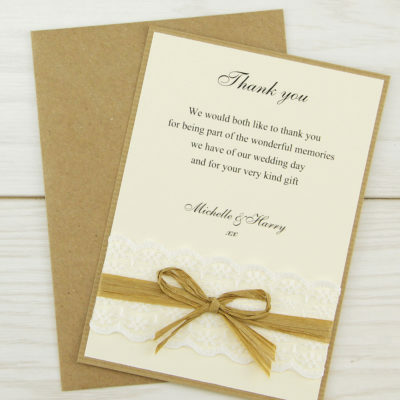 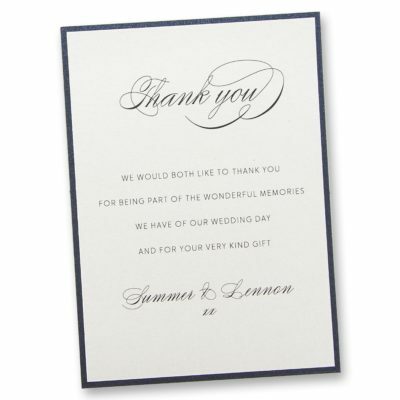 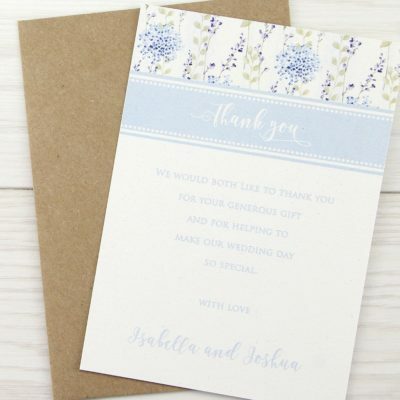 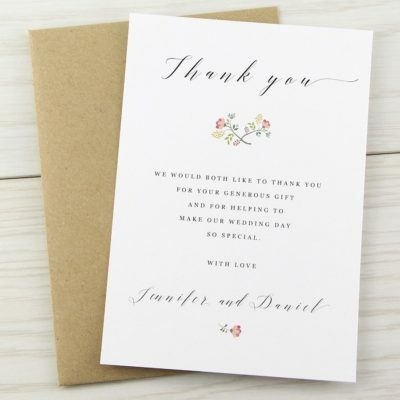 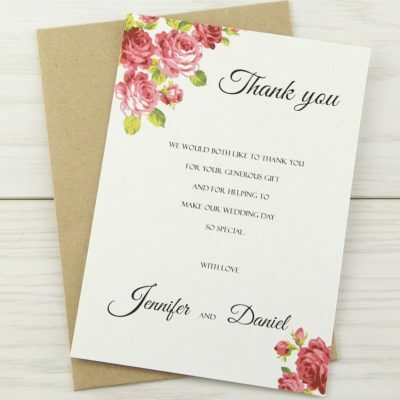 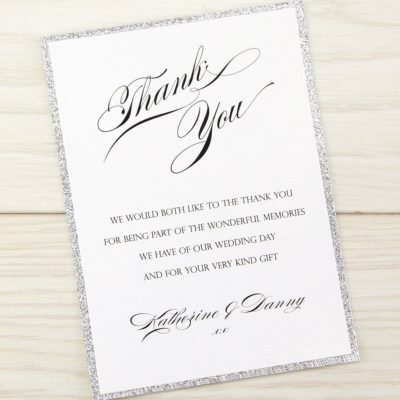 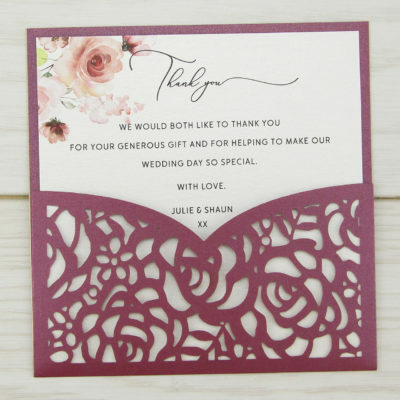 Send a personalised thank you card to your guests shortly after your wedding day. 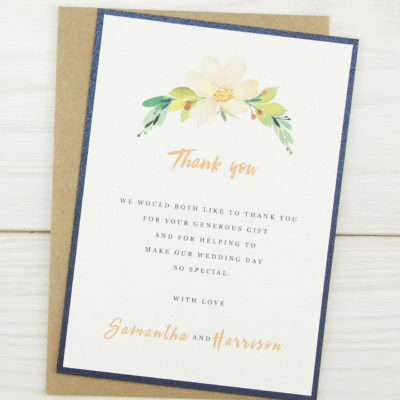 They’ll love to receive your words of thanks, not only for their kind gift but for helping to make your wedding memories so special. 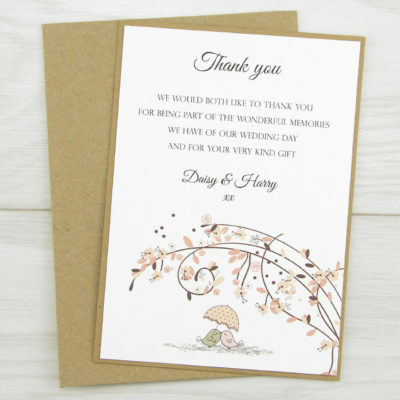 All our cards include our bespoke printing service.